Iloilo City, known to be the City of Love, has been popular for its festivals and structures. But among those are closer to the heart of the many – the local dishes that you should try. These are all prepared in a unique manner, giving each recipe a unique taste no one will ever forget. This is the most famous culinary contribution of the city. It is a serving of Miki noodles, egg, topped with crushed crispy fried pork skin and fried garlic, and containing pork meat, intestine, scallions, liver, and a spoonful of bone marrow. It is being slowly cooked for hours and mixed with the finest ingredients known in the place. Tatoy’s is a famous restaurant in Iloilo and one dish they serve best is their native Lechon manok. It is a roasted chicken, “daraag” as they call, that was marinated in vinegar and calamansi with lemongrass and sampalok leaves inside. It is cooked until crispy golden brown with a very distinct taste from any other chicken served elsewhere. Talaba or oysters are definitely a specialty of Iloilo. They are parboiled or steamed so that it will be easier to open them. Very fat and succulent oysters with fresh taste and smell are definitely good oysters. The locals would traditionally pair them with “sinamak”, a vinegar mixed with a lot of different spices. A soup dish composed of meat dumplings, shredded chicken, and a deliciously thick broth, this originated in the town of Molo, Iloilo and belonging to one of the influences of the former Chinese settlers in the area. There are still a lot of foods that must be tried in Iloilo, but these four are just the most requested of all time. 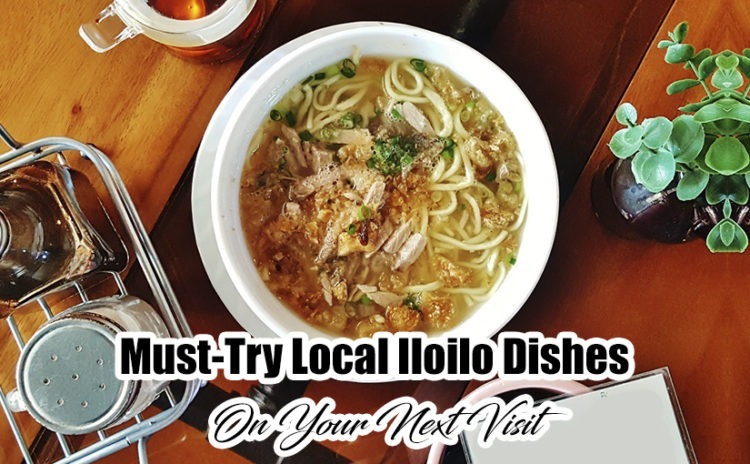 Come to Iloilo, and feed not only your wanderlust but also your hungry stomach.